During the 1970 offseason, the team finally managed to acquire a star in Rick Barry after trading their No. 1 pick and cash to the Virginia Squires. After another playoff season at the Island Garden, the team moved to the brand new Nassau Veterans Memorial Coliseum in Uniondale for the end of the 1971 – 1972 season. 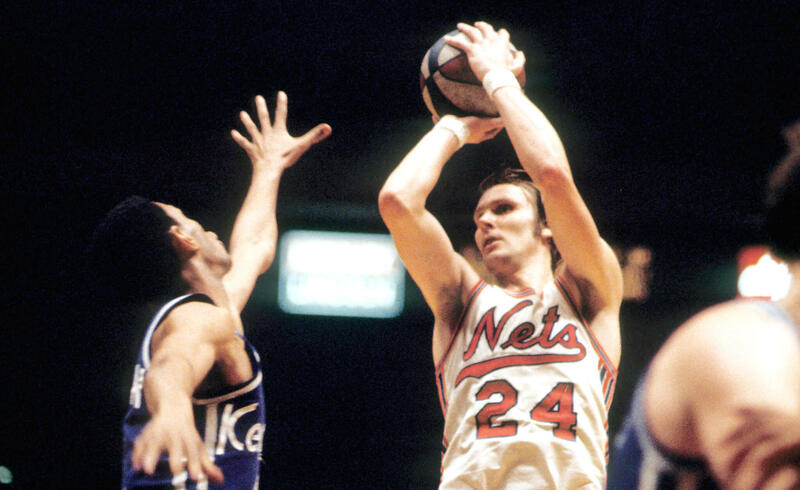 In 1972, two years after the acquisition of Barry, the Nets advanced to their first ABA finals. However, they could not overcome the Indiana Pacers and lost the series four games to two. Barry left after that postseason, sending the Nets into rebuilding mode. The 1972 – 1973 season was one of disappointment, as the Nets only managed to win 30 games.